In the early 1920s, in the remote village of Ghamsar, Talla and Sardar, two teenagers dreaming of a better life, fall in love and marry. Sardar brings his young bride with him across the mountains to the suburbs of Tehran, where the couple settles down and builds a home. From the outskirts of the capital city, they will watch as the Qajar dynasty falls and Reza Khan rises to power as Reza Shah Pahlavi. Into this family of illiterate shepherds is born Bahram, a boy whose brilliance and intellectual promise are apparent from a very young age, and who was destined to bring in change. Through his education, Bahram will become a fervent follower of reformer Mohammad Mosaddegh and will participate first-hand in his country's political and social upheavals, reinventing monumental ways of leadership. Librarian spy Irene has professional standards to maintain. Standards that absolutely do not include making hasty, unplanned escapes through a burning besieged building. But when the gateway back to your headquarters dramatically malfunctions, one must improvise. And after fleeing a version of Revolutionary France astride a dragon (also known as her assistant, Kai), Irene soon discovers she's not the only one affected. Gates back to the Library are malfunctioning across a multitude of worlds, creating general havoc. She and Kai are tasked with a mission to St Petersburg's Winter Palace, to retrieve a book which will help restore order. However, such plans rarely survive first contact with the enemy - particularly when the enemy is the traitor Alberich. Meanwhile, Irene's old friend Vale has been damaged by exposure to Chaotic forces. When another figure from her past appears, begging for help, Irene has to take a good hard look at her priorities. And of course try to save the Library from absolute annihilation. From bestselling author A.J. Banner comes a dazzling new novel of psychological suspense in the vein of S.J. Watson’s Before I Go to Sleep and Mary Kubica’s The Good Girl that questions just how much we can trust the people around us. Thirty-four-year-old marine biologist Kyra Winthrop remembers nothing about the diving accident that left her with a complex form of memory loss. With only brief flashes of the last few years of her life, her world has narrowed to a few close friendships on the island where she lives with her devoted husband, Jacob. But all is not what it seems. Kyra begins to have visions—or are they memories?—of a rocky marriage, broken promises, and cryptic relationships with the island residents, whom she believes to be her friends. As Kyra races to uncover her past, the truth becomes a terrifying nightmare. 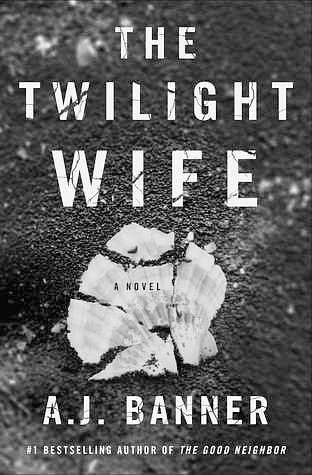 A twisty, immersive thriller, The Twilight Wife will keep readers enthralled through the final, shocking twist. If anyone saw the prom boards Amelia Blanco makes on her favorite fashion app, they'd think Ethan Laurenti was her boyfriend. They wouldn't know that all the plans she's made for them are just dreams, and that she's the girl who watches him from the kitchen while her parents cook for his famous family. When Amelia's abuelita enrolls her in a month-long fashion internship in NYC, Amelia can't imagine leaving Miami--and Ethan--for that long. As soon as she gets to New York, however, she finds a bigger world and new possibilities. Her pin boards become less about prom with Ethan and more about creating her own style. By the time she returns to Miami, Amelia feels like she can accomplish anything, and surprises herself by agreeing to help Ethan's awkward, Steve-Jobs-wannabe brother, Liam, create his own fashion app. As Liam and Amelia grow closer, Ethan realizes that she may be the one for him after all. The "improved" Amelia soon finds herself in between two brothers, a whole lot of drama, and a choice she never dreamt.